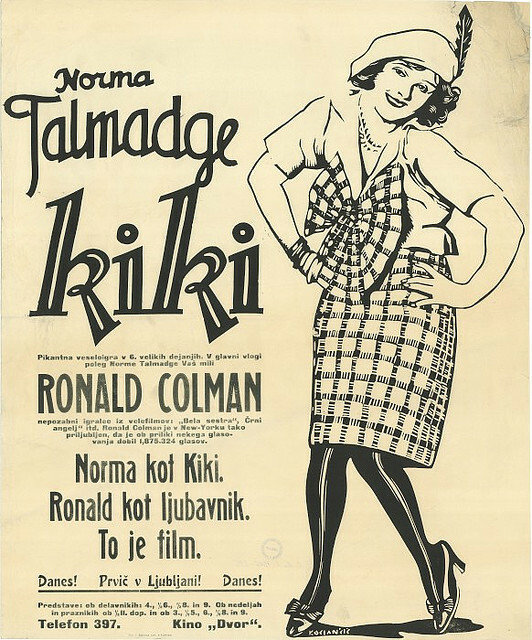 Update: With slow-moving Hurricane Irene expected to huff and puff and dump a ton of rain on our part of the world all day tomorrow, the screening of 'Flirting With Fate' (1916) and 'Kiki' (1926) scheduled for Sunday, Aug. 28 at 4:30 p.m. at the Wilton (N.H) Town Hall Theatre has been postponed until Sunday, Sept. 4 at 4:30 p.m. I regret any confusion caused by prior announcements confidently stating that the show would go on. Well, Mother Nature had other ideas, so we're postponing the show until a week later, on Labor Day weekend. Hope a few more folks will be able to make it, as these two films make a great conclusion to our 'Silent Summer Romance' series. In any case, it's all for the best as I seem to have developed an acute case of tennis elbow in my left arm. Youch! So I'm laying off the keyboard for a few days in hopes that it clears up. For now, it's icepack city. The U.S. East Coast may be bracing for a visit from Hurricane Irene this weekend, but we're still going ahead with our planned screening of two features on Sunday, Aug. 28 at 4:30 p.m.: Douglas Fairbanks Sr. in 'Flirting with Fate' (1916) and Norma Talmadge (that's her on the left in the photo above) and Ronald Coleman in 'Kiki' (1926). It's the final installment of our "Summer Romance" silent film series at the Wilton (N.H.) Town Hall Theatre, and with a hurricane possibly raging at showtime (Sunday afternoon), looks like we'll go out with some drama as well, at least in terms of the weather. 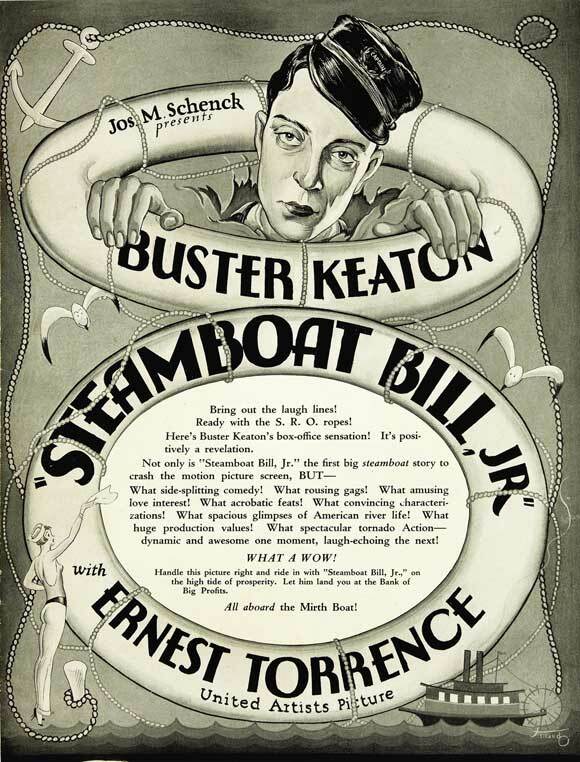 Alas, there wasn't time to change the program to something more storm-related: Keaton's 'Steamboat Bill, Jr.' (1928), perhaps, with its cyclone finale. Showing that during an actual hurricane would have been way cool, as the kids say. But I've been prepping the two romances, and that's what we're sticking with. Neither are mainstream silent classics, but they both have a lot to offer. In the case of the Fairbanks film, it's a fast-moving early feature made before he turned to historic or exotic swashbuckling epics, and interesting for the glimpse it provides into daily life at the time. It also has a surprisingly dark edge to a romantic comedy, and I'm curious to see how an audience responds. And then there's 'Kiki,' which I have been looking forward to doing for a long time, but then, when I recently screened it to start putting music together, it was completely different from the film I expected. I thought it told the story of a street urchin who was rescued from the streets of Paris by a ruthless promoter, but instead it was a lighter-than-air backstage romance! Oops! I had it confused with the life story of Edith Piaf, apparently. I'm thinking that serious music of any kind is not going to help, and so I may get into Offenbach mode and stay there for this one. Will it hold together? See for yourself on Sunday, Aug. 28 at 4:30 p.m. at the Wilton Town Hall Theater. Admission free, but donations sure appreciated! Just a few notes on films from this past weekend while they're still fresh in my mind. On Saturday, Aug. 20, played from 10:30 a.m. to 4:30 p.m. for films at the Wilton (N.H.) Town Hall Theatre, with an hour for lunch. Part of our annual Mirthquake festival, the morning was non-stop obscure comedy shorts and fragments, some with intertitles in German or Danish, while the afternoon saw two back-to-back features: Eddie Cantor in 'Special Delivery' (1927) and then the immensely silly 'Cruise of the Jasper B.' Hey, look! There's our name above the doors to the main theater! Not much of an audience for these films, alas, but playing all the shorts cold (I'd never seen any of them) was a great workout for a silent film accompanist. And I really mean that, because I find it takes awhile for me to get "in the zone," meaning the music comes naturally and without a lot of conscious thought. And the best way for me to achieve that state, it seems, is to just immerse myself in the process and do it until I'm completely absorbed. Then things begin to flow with an ease that's hard to describe, and which sometimes surprises me. I saw that happen on Saturday in Wilton. After a morning of running through one silent comedy short after another, I was in a state where the music just came naturally. 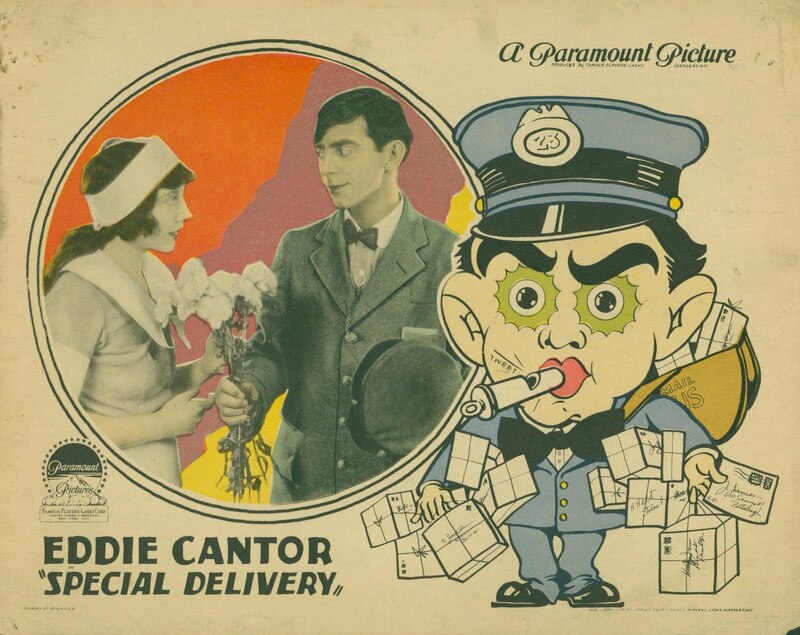 And so I was as astonished and delighted as anybody as a full-fledged and finished-sounding score emerged for 'Special Delivery,' the Eddie Cantor film. I based in mostly on the old "Bye Bye Blackbird" tune by Ray Henderson and Mort Dixon, which a little research reveals was the "#16 song of 1926" and which Eddie sings (and dances to) in the middle of the film. When a character in a silent film asks street musicians to play "Bye Bye Blackbird," and it's a tune that a lot of people would still recognize, then I think it's wise to come through with the tune rather than anything else. And in this case, it was fortuitous, because the melody is well-suited for Cantor's character: by turns jaunty but also a little wistful. So it became the "theme song" for the whole picture, which means not that I kept playing it over and over again, but that I put it in a blender and used little pieces of it here and there to accompany scenes and interactions. I think I only played the actual complete tune (or actually, the chorus, the part that everyone knows) twice: once at the very beginning over the opening credits, and then when Eddie actually does sing it. I had a few other melodies going for other characters, such as the Jobyna Ralston love interest and the William Powell confidence man, and it all came together very effectively, I thought. A much better impression was made, I think, the next day (Sunday, Aug. 21), when I trekked out to the Leavitt Theatre in Ogunquit, Maine for my first-ever experience with Blu-ray hi-def silent film transfers. 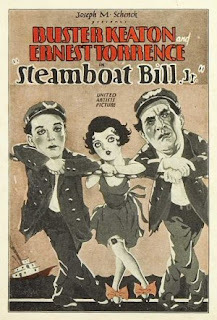 Two nautically flavored Keatons were on the program: the short 'The Boat' (1921) and 'Steamboat Bill, Jr.' (1928), both shown in the new Kino Blu-ray transfers. (For what it's worth, a snapshot of what was onscreen during the pre-show tryout is posted here.) They did look quite sharp, even though the theater's throw lens seemed to have some slight imperfections that caused the edges to ghost. 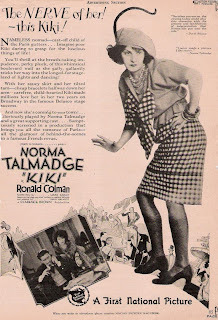 Instead of hurricanes, we'll be screening films about love this coming weekend, as we finish off our mini "Summer Love" series at the Wilton (N.H.) Town Hall Theatre with a double feature: 'Flirting with Fate' (1916), an early Douglas Fairbanks; and Norma Talmadge in the restored 'Kiki' (1926). The show will go on, come rain or wind or whatever, so hope to see you there! 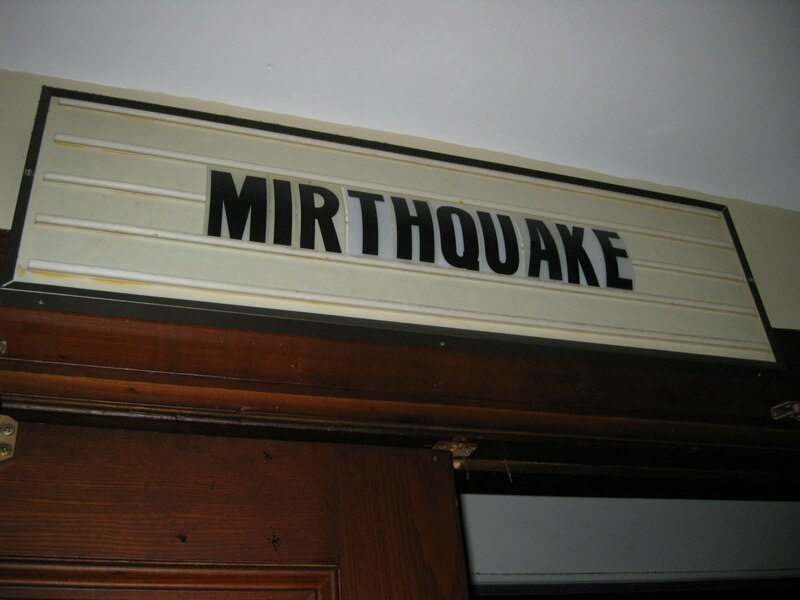 Here's a progress report on 'Mirthquake,' the annual multi-day festival of obscure comedy films we do here in southern New Hampshire. We've screened some interesting cinema, both silent and sound, but attendance so far has been pretty pitiful. For me, the highlight has been doing music for feature films that rarely get screened anywhere. On Thursday night at UNH-Manchester, we ran 'Exit Smiling' (1926), the sole silent film of stage star Beatrice Lillie. I didn't have a chance to preview the film so played it cold, which was something I wanted to do to help prepare for Cinefest in Syracuse next March, where I'll do a lot of that. It was an interesting challenge because the movie, a backstage story about a troupe taking a tired melodrama on tour, turned out have rich musical possibilities. One minute they're on stage doing the melodrama (a certain kind of overblown music worked well for that), and the next minute, they're off-stage and acting like real humans, so I tried for a more, well, human texture. But you have to hang your hat on something or an improvised score isn't going to hang together at all, so I did the best I could to adapt the tune to the film's story. I kind of lost track of who was doing what to regarding the Jack Pickford character, so it was hard to do really dramatically effective scoring for parts of the film, but you keep going and hope for the best. One issue with this one was the piano, a Yamaha grand I know well, and it's a killer to play -- very tough action, not a lot of delicacy or "give." After about an hour, my hands were fatigued and the playing starting getting noticeably sloppy. But what can you do? It's just one of those things you deal with as the film continues to run and hope for the best. 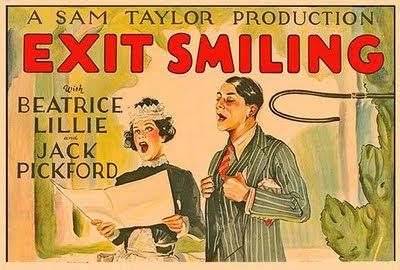 For 'Exit Smiling,' though, I'd love to plan out a score that has aggressively cheesy music for the on-stage melodrama, and keep repeating it as scenes are repeated on the stage, to emphasize the "otherness" of the stage action, and have a more coherent package of material for the off-stage stuff. And then, as the film progresses to its climax, and only then, start mixing the two together as the actions off-stage begin to resemble more and more the melodrama that the company acts out night after night. I think I got about 40 percent of the way there playing the film cold, and I'd love another shot. Ain't that always the case, though? I was surprised at what I think of as the "love music" that I came up with on the spot for the princess character. One thing I like about Mirthquake is that I'm required to play a lot of things cold over several days, and by the end it all seems to flow so naturally. That was happening last night with the love music, which somehow started well and gradually soared as the big "unveiling" scene (in which Mary Astor removes her face mask) progressed. It's a very effective scene, done in close-up, and to see her until-them shrouded face has the same kind of dramatic impact as the unveiling of Lon Chaney as the Phantom of the Opera. (With a very different kind of face, though.) The music came together very effectively, as I took a short melodic phrase over arpeggiated accompaniment and modulated through a cycle of keys, upping the intensity each time. And at just the right moment, I thought (the first kiss, of surprising intensity), I wound up with a pedal tone on the dominant note of the scale, and then held it there as the right hand worked through a rising series of chords that all worked wonderfully. Sometimes it happens! Attendance, frankly, has been disappointing. For 'Exit Smiling,' besides the regular crew, we had exactly two members of the public attend, and for 'Two Arabian Knights' it was a total of four paid admissions. We'll see if things pick up for today's screenings at the Wilton Town Hall Theatre, which start in about two hours, so I better get going. More later! Also a Felix the Cat cartoon and 'Broke in China,' a Mack Sennett short starring Ben Turpin. attendance, alas, was two people, other than Dave Stevenson, Mark Johnson, and the small group of local regulars. Mirthquake: Giant sponges and more! 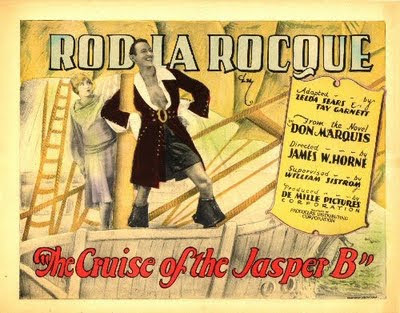 I'm still gasping for breath this evening after previewing two of the features we have slated for this year's Mirthquake: 'The Cruise of the Jasper B' (1926) starring Rod LaRocque; and Eddie Cantor's long-lost-but-now-found 'Special Delivery' (1927). They're both lulus, and they make up a significant part of the program on Saturday, Aug. 20 at the Wilton (N.H.) Town Hall Theater. Both are programmed in the block starting at 1:30 p.m., following lunch, so if you want to see two completely wacky films that you're unlikely to witness otherwise, here's your chance. Of the two, 'Cruise' is definitely goofier, and that's saying quite a lot. Any film that opens with a title card harking back to "1725, Daylight Savings Time" is heading for zanyville, and that's where this one goes almost immediately. 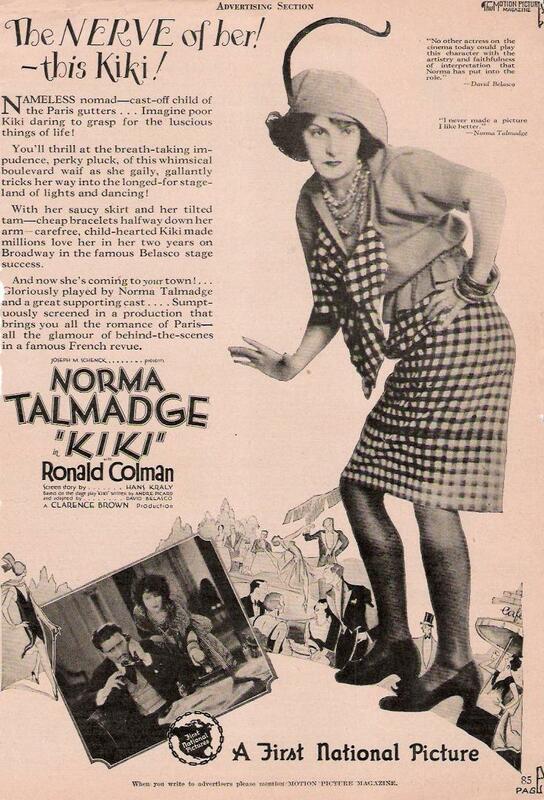 Not to spoil the plot, but just to give you an idea of what goes on; a last will and testament lands on the bare back of female lead Mildred Harris (the first Mrs. Charlie Chaplin, divorced by the time 'Cruise' was filmed) while she's in the tub, leaving a copy of the text on her skin. From then on, she is chased throughout the film by Snitz Edwards (yes, the popular silent-era character actor), who wants to wash her back for reasons that are too complicated to get into here. Suffice it to say, it's the only movie I've ever seen where a woman is stalked throughout by a man with a giant sponge. And it was directed by Cecil B. DeMille, of all people.! But 'Special Delivery' is right up there as well. In it, song-and-dance man Cantor plays a postman, and I'm glad I previewed it for music. It has scenes such as one where Cantor randomly asks some street musicians to play "Bye Bye Blackbird," and they do, and he proceeds to sing a few verses, drawing a crowd. He then easily completes his day's work as a letter carrier, since everyone on his route happens to be in the audience. Nice! But if the music isn't right there, it wouldn't work so well. The supporting cast is pretty high-end in this one: you get Harold Lloyd's main squeeze Jobyna Ralston as the leading lady, and none other than William Powell playing a slimy confidence man. And look, there's Spec O'Donnell, the silent era's ultimate gawky adolescent, with a cameo appearance. And as a bonus, the film was directed by "William Goodrich," which all you silent film fans will know was the pseudonym that Roscoe "Fatty" Arbuckle adopted for his behind-camera work after being banned from the screen following the 1921 scandal. All this and shorts subjects, too, on Saturday, Aug. 20 at 10:30 a.m. at the Wilton Town Hall Theatre in Wilton, N.H. It's free to all, and I'm eager to see how audiences react to these films, so the more, the merrier. 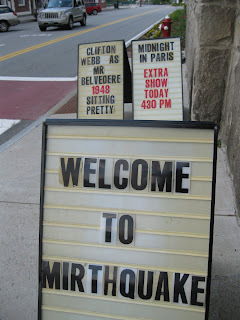 The films run until about 4:15 p.m. that day, with a break for lunch from noon to 1:30 p.m. And for other Mirthquake screenings, please check the "Upcoming Screenings" found on the upper right. Looking ahead, the next scoring project is our annual Mirthquake, a three-day festival of silent and early sound film comedy that'll run from Thursday, Aug. 18 to Saturday, Aug. 20. The screenings take place in various venues around southern New Hampshire, our corner of the world. We bill it as "New England's Largest Vintage Festival" because I think it's New England's only vintage film festival. So come join us for what should be an interesting three days of comedy films you're not likely to see screened anywhere else. In earlier years, I used to fret that the programming didn't contain enough "mainstream" silent classics such as the Chaplin, Keaton, or Lloyd features, but I'm over that, as I schedule those films often enough on my own. For Mirthquake, the programming is now entirely in the hands of Dave Stevenson and his cohorts Mark and Cole Johnson. The theme this year is, I believe, a salute to film comedy pioneer Mack Sennett, whose Keystone Studio was established nearly a century ago. Still, the films are a varied lot, with a good mix of silent and sound comedies. All these features are new to me, and I'm looking forward to scoring them. Not sure how much preview time I'll have with them (real life will likely intervene in the next few days) but I don't mind playing them cold if it comes to that. Hope to see you there. Below is the press release, which contains the complete schedule. For more info, check http://mirthquake.looserthanloose.com. MANCHESTER, N.H.—The great and not-so-great comedians who showed early movie audiences how to laugh will return to the big screen for Mirthquake, a three-day festival devoted to celebrating vintage film comedy in local theaters in Manchester, Wilton, and Concord, N.H. 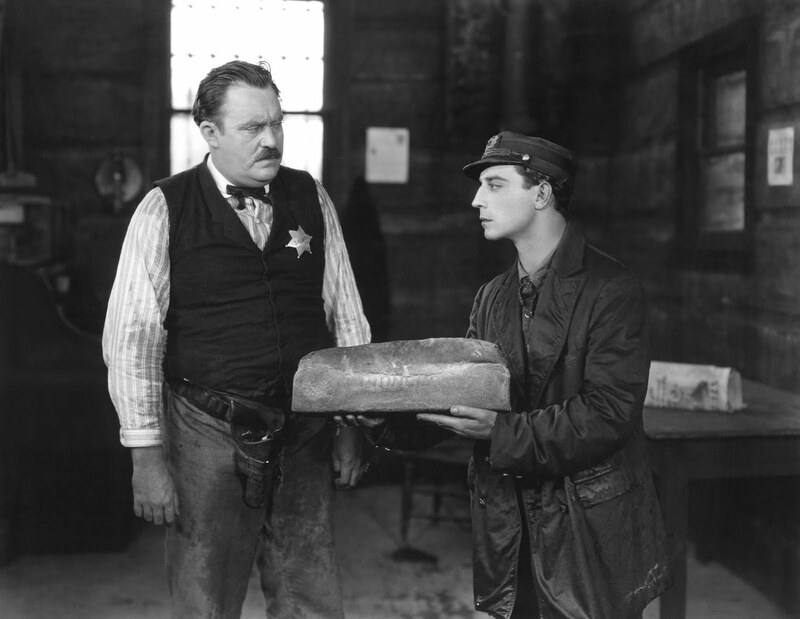 The festival, which runs from Thursday, Aug. 18 to Saturday, Aug. 20, includes screenings of great silent comedies starring pioneer funnymen Charlie Chaplin, Buster Keaton, Fatty Arbuckle, and many other lesser-known comics. Programs will include silent and early sound comedies from the earliest days of the movies through 1940. Shows are planned for several southern New Hampshire venues, with all silent films accompanied by live music. "We invite the public to see these great comedies, which helped audiences first fall in love with the movies," said Jeff Rapsis, musical accompanist for the silent films. "These films come to life when shown in the environment for which they were designed: on the big screen, in a real theater, with live music, and with an audience." In addition to dozens of short films presented on 16mm film and DVD, organizers plan several feature film screenings as part of this year's Mirthquake. 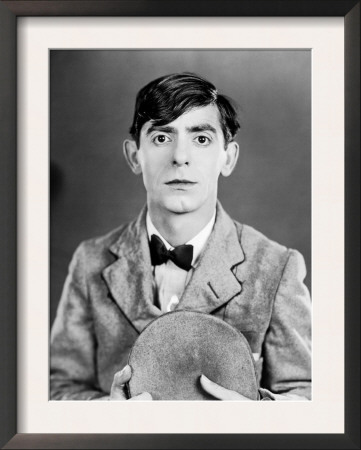 Highlights include a scarce Eddie Cantor feature comedy called 'Special Delivery' (1927) and also 'Two Arabian Knights' (1927) starring William Boyd and Louis Wolheim, a box office hit that won the Oscar for best comedy at the first-ever Academy Awards. This year's festival pays special tribute to comedy pioneer Mack Sennett's Keystone Studios, with many comedies featuring performers and directors who learned their trade at Keystone. It's the fifth year that Mirthquake has presented early movie comedies in southern New Hampshire for local residents and visiting film buffs alike. It's the largest vintage film event in New England. 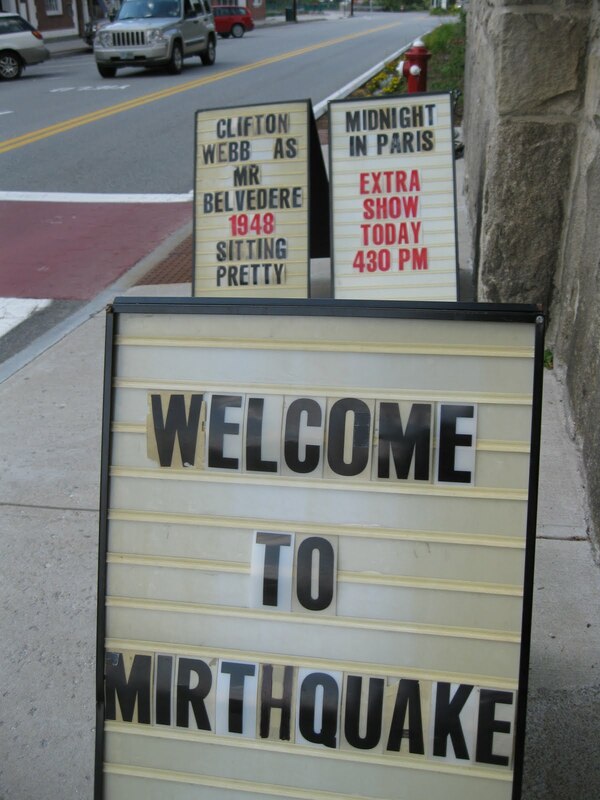 All events at this year's Mirthquake are open to the public. Most screenings are free; only the screening of 'Two Arabian Knights' on Friday, Aug. 19 at Red River Theatres in Concord carries an admission charge. • 9 a.m. to noon, 1:30 to 4:30 p.m., Silent and Early Sound Comedy Shorts. Manchester Public Library, Carpenter Auditorium, 405 Pine St., Manchester. Free! Extensive line-up of dozens of early comedies on film and DVD starring Buster Keaton, Mickey Rooney, Charley Chase, and "Snookey the Human-zee," among others. • 7 p.m. 'Exit Smiling' (1926) starring Beatrice Lillie and Jack Pickford. UNH-Manchester third floor auditorium, 400 Commercial St., Manchester. Free! Stage icon Beatrice Lillie, in her only silent film role, stars as a travelling theatre troupe's worst actress who dreams of all she could be if she only had the right opportunities. Jack Pickford co-stars as a runaway bank clerk who joins the troupe as a lead actor. Screened with a Ben Turpin silent comedy short and a Felix the Cat cartoon. • 9 a.m. to noon, 1:30 to 4:30 p.m., Silent and Early Sound Comedy Shorts. Manchester Public Library, Carpenter Auditorium, 405 Pine St., Manchester. Free! Dizzying array of short comedies featuring obscure performers such as Joe Penner, Edgar Dearing, Harry Gribbon, Clark & McCollough, and more. 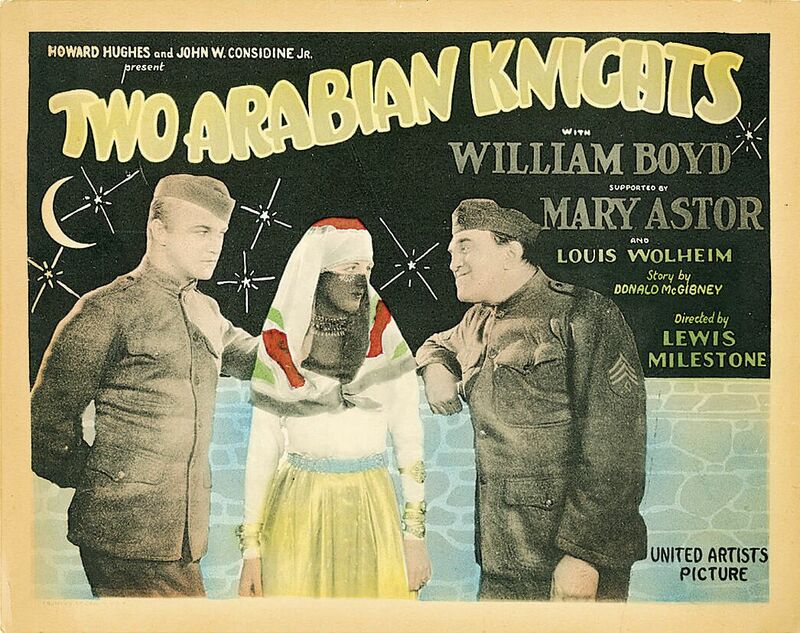 • 7 p.m., 'Two Arabian Knights' (1927) starring William Boyd and Louis Wolheim. Red River Theatres, 11 S. Main St., Concord; $10 admission. 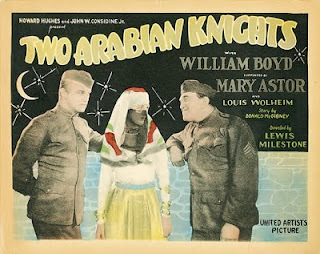 One of Hollywood's original "buddy" movies in which two World War I soldiers escape from a German prison camp, only to find themselves launched on a far-ranging odyssey that takes them to the Mideast. Program includes three early silent film comedies starring Charlie Chaplin and Ford Sterling. 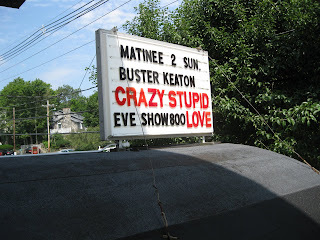 A full day of comedy at the Wilton Town Hall Theatre, Main Street, Wilton, N.H. All films free! • 10:30 a.m. to 1 p.m., Silent Comedy Shorts starring Lloyd Hamilton, Roscoe 'Fatty' Arbuckle, Al St. John, and others. • 2 to 4:30 p.m., 'Special Delivery' (1927) starring Eddie Cantor, Jobyna Ralston, and William Powell. Program includes added attraction, 'The Curse of the Jasper B' (1926) starring Rod La Rocque. • Saturday, Aug. 20, 8 p.m. to whenever, Obscure and Unusual Vintage Film. The Red Barn Diner, 61 Elm St., Manchester, N.H. Free! Last night went up to Plymouth, N.H. to accompany a pair of Raymond Griffith films at the Flying Monkey Moviehouse and Performance Center, which has the most interesting name of all the places I play. 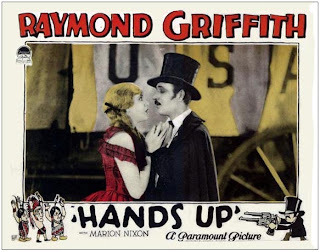 It being Raymond Griffith, I didn't count on a huge turnout. And it being a fine mid-summer evening with several large competing events happening right in town that night, my expectations were reduced accordingly. Playing at the Flying Monkey is always interesting because it's not really set up as a moviehouse (despite the name) and so the finer details of film exhibition sometimes go astray. Last night, it was lights. After we started 'Paths to Paradise,' the house lights went down, but all the side lights of the theater were left on. Well, the film was still watchable, and there was no way I could get it fixed without stopping the music, so I just let it go. 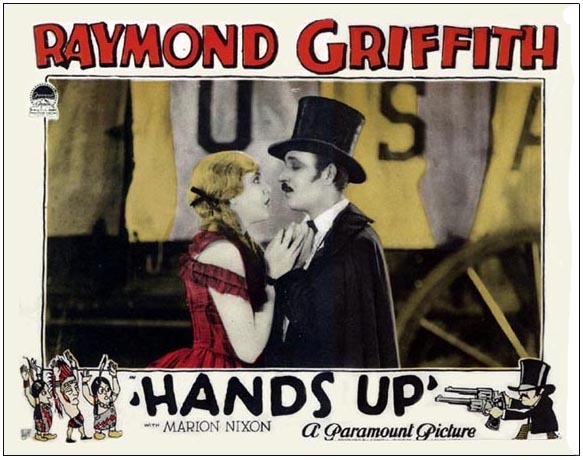 When it was time for the second film, 'Hands Up!' (1926), I knew the theater's sound guy would walk past me in the front to change the DVD, so I would have a chance to tell him to turn out all the lights, please. And that's what caem to pass. Verdict: Much better in full darkness. One constant issue with this place is that at the end of a screening, invariably the house lights do not come up, and so we're all left sitting awkwardly in the dark for a bit. It happened again last night. It's just all part of the fun of doing this, I guess. Perhaps the most alarming part of the screening was that for the first time ever, the DVD-R of 'Paths to Paradise' that I use began to get stuck while playing. It happened at a couple of moments early on, so I braced myself for disaster, knowing that no one connected with the theater was actually watching the film, so it would be up to me to stop everything if things ground to a halt. Luckily, we moved on from that bad patch, but from then on I had to contend with the constant anxiety of wondering if and when the disc might get stuck for good. It's a big distraction when you're trying to use all your brain space to create music, but it's just something you have to deal with, as the film is moving on and you have to do your best no matter what. Somehow, the score kept together and I was actually quite satisfied with what I did for 'Paths,' and even more so for 'Hands Up.' For the second film, I pulled a romantic melody out of nowhere that served me in good stead for the entire film, and also came up with a little tune to underscore whenever Griffith is being a wise guy. 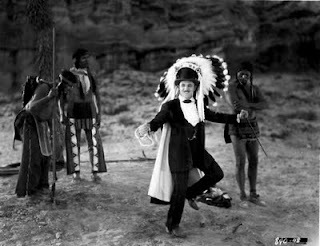 It first appeared when he was swindling the Indian chief in a dice game, and led into the later scene when he teaches the "savages" how to dance properly, which I consider one of the highlights of all silent film comedy. I know I'll do this film again, so I'm writing it into my book of tunes, as it would have worked perfectly in some earlier scenes and allowed the whole presentation to be more integrated. Shows you how this is a really organic process that extends from one screening to the next. 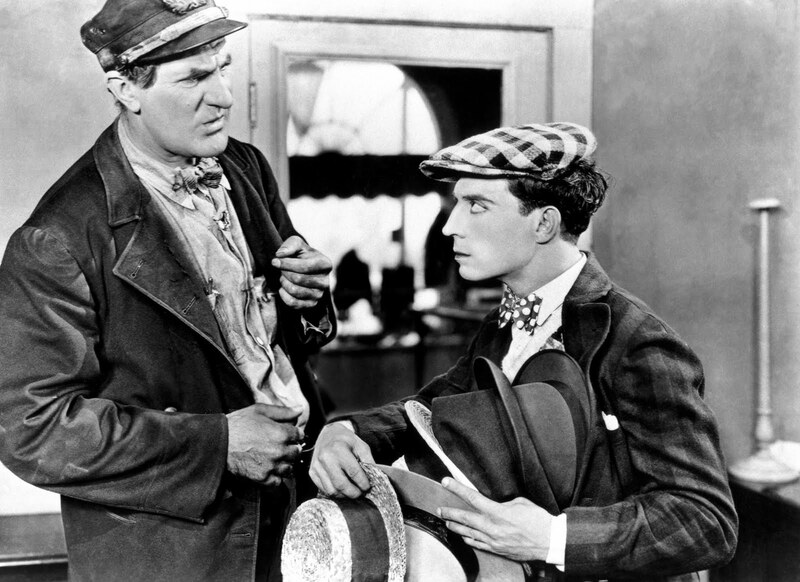 And now that I think of it, the Griffith "wise guy" theme is distantly related to a figure I was using a lot at a screening of 'Steamboat Bill, Jr.' (1928) in Boston last Sunday night. Nothing for this weekend, which is good. These screenings energize me, but over time they can be draining. It's been a heavy schedule for the past few months and I find that doing them at this pace (plus keeping up with regular life, which involves managing three dogs, helping manage a small business, teaching college, and being a husband among other things) can actually wear me down. Okay: A busy first week of August saw screenings in an old resort ballroom in New Hampshire, an even older town hall in Vermont, and a wonderful movie theater in Somerville, Mass. that's dedicated to preserving the 35mm film experience. Let's take them in reverse order, starting with an experience last night that moved me unexpectedly and quite deeply, too. • On Sunday, Aug. 7, I experienced what was one of the highlights of my musical life so far. Usually these writings are reports about the movies and the screenings and how the music worked (or didn't), but for a moment let me tell you about my own personal reaction to something that I'm just beginning to get my head around. 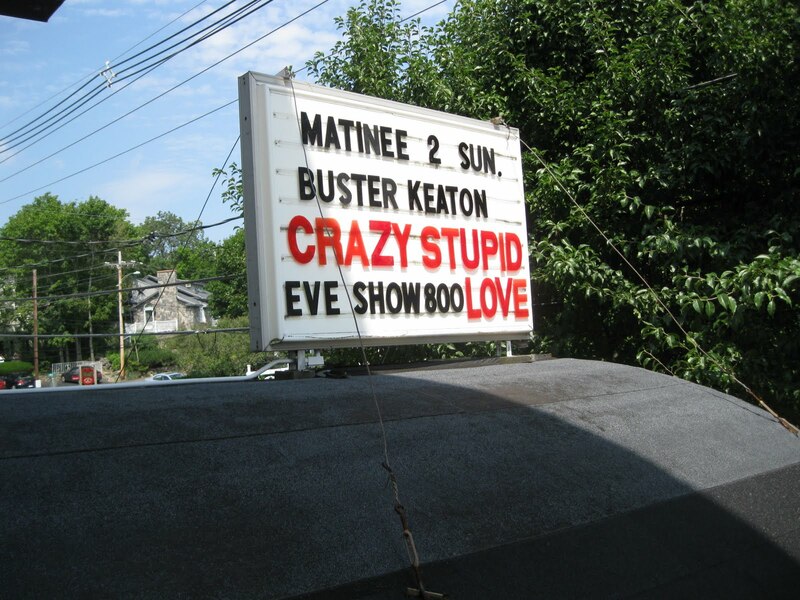 Last night, after doing improvised scores for a screening of Buster Keaton films at the Somerville Theatre, just outside Boston, Mass., a large audience treated me to a huge and prolonged ovation that just completely blew me away. And I stood there, after more than two hours of film music, and it washed over me: this middle-aged guy, who in high school couldn't get into Boston University's Tanglewood Institute for young composers (I know, boo-hoo), was thrilled and gratified and humbled to come to Boston (the "big city" in my lifelong home of New England), make his music in public, and receive such a response. Nearly three decades later, I felt I had finally, finally arrived as a musical artist with something to say. I really mean it. And I never expected to be in such a position, and yet there I was, with about 250 people hooting and hollering, and not stopping, for music that I just did. (If I had expected it, I would have dressed better.) I took a few bows, but then didn't know what else to do, and then it kind of hit me all at once, and I just couldn't believe it. It was probably the closest this musician will ever get to his own personal "Mr. Holland's Opus" moment. And I realized that it marked something of a milestone in this creative journey, and I'm profoundly grateful to everyone who played a role in getting me there: to the folks at the Somerville; to early supporters such as N.H. filmmaker Bill Millios, film archivist Dave Stevenson, and Wilton Town Hall Theatre owner Dennis Markevarich; to friends and colleagues and family (especially my wife Susan) who've been dealing with my silent film music thing for quite some time now; to Rick and Jemi Broussard, who hooked me up with the Somerville Theatre; to lifelong inspirational figures, chief among them the composer Charles Ives; to new friends such as the film blogger Raquelle, seen here with me after the screening; and to the filmmakers themselves, my now-absent collaborators who left such a rich accidental legacy for us to explore and ponder today. And finally, thank you to everyone who came to the Keaton program last night. Silent film needs an audience to exist, and without you, my co-collaborators in the dark, the films (the ones that survive) would just be long strips of plastic wound on reels sitting in cans on darkened shelves somewhere. And it has become clear to me that the music I do is much the same way: it needs an audience to come forth, and without you, it would still be just ideas in my head and perhaps go no further. Thank you, thank you for bringing it out of me. To someone who has always had music in his head, but for a long time never had a place for it to go. It's something of a dream come true. Wow! It's been an entire day since last night's screening in Somerville and, as you can see, I'm barely getting my head around the experience and its aftermath. It was especially heartening to have so many people come up afterwards and talk about the Keaton films ('Steamboat Bill Jr.' with 'Cops' and 'The High Sign,' all in 35mm) and how much they enjoyed seeing them in a theater with live music. Great questions, wonderfully supportive comments, and enough interest for me to go back to the keyboard and do an impromptu session on silent film scoring techniques for a small audience. As for scoring the Keaton films, things went pretty well, despite one very alarming technical glitch right at the beginning when the house lights went down, taking my synthesizer and sound system with it. It's got the making of one of those dreams you don't want to have: you introduce a program to 250 people in a theater, and turn around, and your instrument is as dead as a wooden canoe. I had no choice but to turn around and shout "Wait!" and ask for the power back. Somehow it returned quickly (thank you whoever did that!) but I still had to wait for the darned thing to reboot, even as the first film, Cops, was starting on screen. At least I got a few laughs by remarking loudly, "They didn't have THESE kinds of problems in the 1920s!" Kept to an organ setting for the two shorts, which went by quickly. Cops is very satisfying to score because it builds so well, from small comedy to massive city-wide chase. The key moment, and one I always have trouble with, I think, is when the bomb goes off during the police parade, which launches the big chase. Keaton lingers on the static aftermath of the explosion quite a bit before cutting to the actual chase, and I've never found a satisfying way to build the music and make the transition. Have to work on that one. Weird, too, that this 35mm print was missing significant footage, sometimes cutting out of one gag before the payoff and going immediately to other scenes. I've known the film my whole life, though (it was one of the first 8mm prints I bought from Blackhawk as a teenager!) and had a solid sense of when to push, and when to pull back to keep the energy going. I had never done 'The High Sign' before and wasn't sure because it was truly "early" Keaton, his first film made after leaving his mentor Arbuckle, and made before he'd truly formed his unique comic personality and outlook. I've always found the Arbuckle films to be a bit slapdash and loose for my taste, but once again the audience proved me wrong, with 'The High Sign' getting big and sustained laughs, especially with the ridiculous gesture that forms the film's title. For scoring, some tricky patches in a shooting gallery with gunshots and bells ringing to make the comedy fully work; I did the best I could but next time will get someone with an actual bell to do that sound effect, which I think is so essential to the humor. 'Steamboat Bill Jr.' is a wonderful film for music. Its rural riverboat setting lends itself to a certain kind of simply melody, and the main one I came up with proved to be versatile enough to work throughout the film without (I hope) becoming tiresome. And the tail end of it, a rising little "answer" phrase, formed the basis for another tune, much lighter in character, to go with the film's boyfriend/girlfriend scenes. And then, completely unexpected, was a little 6/8 tune that kept coming up to quietly underscore the small-scale comedy. And that brings us to the hat scene. One of the most interesting scenes in this picture is when Buster's gruff father, Ernest Torrence, takes him into a store to try on hats, most of them ridiculous. After things get going, it doesn't take long for the scene to shift to a view of father and son as if they're looking into a full-length mirror (a brilliant trick in and of itself!) and then we're treated to a wonderfully diverse procession of ill-advised headgear. 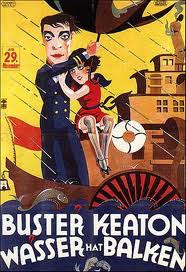 Never was Keaton's comic abilities seen to greater advantage, I think, and he's more than matched by Ernest Torrence. It's a wonderful scene. But what about music? I recall, years ago, I saw this film done with a live score by a talented and energetic group. It was a memorable performance, but I was struck by how they chose to handle the hat scene. Right at the start, they launched into a heavy, up-tempo gallop, like raucous circus music, loud and fast and unrelenting. And you know what? It killed the comedy! And I think a big reason was that you couldn't hear the audience around you laughing, and so that magical silent film audience reaction thing didn't kick in. And despite the brilliance of the scene, I found it left me cold. So now, all this time later, here we are at the hat scene again. So I tried to keep the underscoring to a minimum until the audience reaction kicked in, and only then did I bring things up a bit in terms of intensity, but not too much, and then only by a few discords or pushing up a key rather than in volume or tempo. In doing music for silent film comedy, I'm becoming convinced that less really is more. I was very happy with the extended night scenes, where Buster sneaks over to the rival riverboat to see his girlfriend, also a textbook example of more is less. It's night. It's quiet. As my copywriting colleague Paul Donovan at PC Connection used to say, "Do I have to draw you a map?" Making up the prominent "Prisoner's Lament" in the jailhouse scene went well, and the whole extended storm climax fit together nicely, though the Korg synthesizer is really showing its age, which is now eight. After all this pounding, the bounce of its weighted action keys is pretty much gone, and there are other symptoms. During 'Steamboat,' a tone stuck after pressing a key, and not once or twice, but three times, each time forcing me to switch quickly to another setting and then back to get it to stop. Sheesh! It blows your concentration and doesn't sound right, either, but anyone I asked later said they notice it. 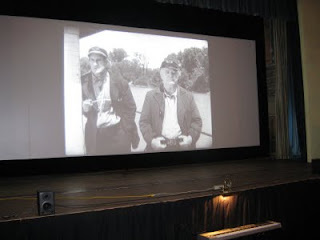 • On Saturday, Aug. 6, made the drive up to Brandon, Vt. for the latest summer silent film screening at their historic Town Hall, which is in the process of restoration. Another solid crowd, about 75 people, came for a program of Laurel & Hardy shorts and 'Paths to Paradise' (1925), a rare film starring Raymond Griffith. The L & H films slayed them, leading off with 'Double Whoopee' (1929) and then 'Early to Bed' (1928) and 'Angora Love' (1929). What were Saturday night's purple moments? SPOILER ALERT! In 'Double Whoopee' it's the multiple-person chaos in the lobby followed by prince's final fall into the shaft; in 'Early to Bed,' it's Ollie and Stan doing battle in Ollie's fountain followed by Ollie cracking up; in 'Angora Love' it's the cop getting the water in the face, followed by the litter of goats (or whatever a group of baby goats is called) emerging from under the bed. And the reaction to 'Paths to Paradise' was really, really gratifying. How great to have people who've never heard of Raymond Griffith get caught up in one of his pictures after all these years of obscurity. 'Paths' does take awhile to get going -- the usual flash point is the comic dance in the flashlight scene about halfway through the film. But once it takes flight, it sweeps everyone along with it. Some of the bigger moments in the climactic chase had people spontaneously applauding -- this for a character to whom they had just been introduced. Nice work, Mr. Griffith! 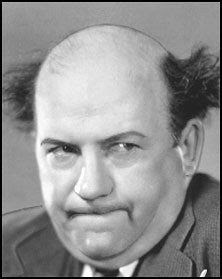 Weird trivia: Afterwards, people could not believe that one of the two clumsy detectives in 'Paths' was the same guy who played the irate landlord in Laurel & Hardy's 'Angora Love': Edgar Kennedy. It's a small silent world! And lo, I found myself tooling up Interstate 89 late on a beautiful summer afternoon, arriving at the resort about 6:30 p.m. Everyone was still on a picnic at the summit of nearby Mount Kearsage, so I got to poke around the well-manicured grounds and well-kept buildings. What I found was an incredibly well-preserved hotel and resort property that must not have looked much different a century ago. Really! It was from the same era as the old grand hotels up north in New Hampshire's White Mountains, but on a smaller scale. Owned by the same family for five generations, it had somehow survived intact into the 21st century, open for only 10 weeks each summer, serving communal meals that were announced by the ringing of a big old bell mounted over the wide porch that wrapped around the first floor of the three-story main building. The films were to be screened in the "ballroom," which was the entire first floor of a separate three-story building connected to the main building by a covered wooden walkway. The screen was, yes, a bedsheet that had been strung across the small proscenium stage at one end of the hall, the floor of which was filled with chairs for more than a hundred people. And as the light faded and the picnickers returned, the seats filled and off we went. Great response to Keaton's 'One Week' (1920), which is an excellent intro not just to Buster but to all of silent film comedy. Our feature was Harold Lloyd's great 1928 film 'Speedy,' and right from the beginning, the reaction to this was just incredible. The reason? Well, what started it was baseball. In the film, Harold's character is obsessed with baseball, and his team is the New York Yankees. New Hampshire is Red Sox country, and there's a long-standing rivalry between the two teams that's on par with India and Pakistan. Normally it's not an issue, but in the summer, Yankees fans come up from New York to visit, and they keep their allegiance no secret. One nice touch was that since Matt played the trumpet, I invited him to sound the bugle calls that lead into the films first climax, the battle in the streets. Matt did an excellent job doing two versions of one of those tunes we all know but I never know the name of ("Charge? "), and then a final blast as the action really starts. Thanks, Matt! Big reaction at the end and lots of good questions and comments. Talk of me going up there again next summer, and I'd love to do it, especially if they can arrange for the same kind of weather. Speaking of which, in the weird coincidence department, when the storm developed in 'One Week,' it unexpectedly started raining outside for real! 'Steamboat Bill Jr.' on Aug. 7: Ain't no secret! Really looking forward to this weekend's screening of Buster Keaton's 'Steamboat Bill Jr.' (1928) on Sunday, Aug. 7 at the Somerville Theatre in Davis Square in Somerville, Mass. It's one of the great silent comedy features, and we're showing it in 35mm along with two Keaton shorts, also in 35mm: 'The High Sign' (1921) and 'Cops' (1922). Admission is $12 adults, $8 students/seniors. First, yesterday (Thursday, Aug. 4) I was the subject of an interview posted on "From Out of the Past," a highly regarded blog about vintage cinema that's maintained by a very knowledgeable film buff in the Boston area. She did a great job and I very much appreciated the questions as well as the chance to explain a little about what I try to do. Here's a direct link to the interview. Then, this morning I found that our screening was included in this weekend's picks by Boston Globe movie critic Ty Burr, as posted on www.boston.com. I'm especially thrilled that he described me using the word "estimable," which I've never been called before. I can't wait to go home and look it up. :) In meantime, you can check out the estimable Ty Burr's post. Finally, Boston radio station WBUR-FM 90.9 (one of the city's two public radio stations) this afternoon broadcast an 11-minute piece about me and film music as part of their "Radio Boston" program. The segment turned out wonderfully, I thought, and I was amazed at how they could edit me into coherence without any seams showing. The whole interview, in the form of a Web page and link to the sound file, is here. 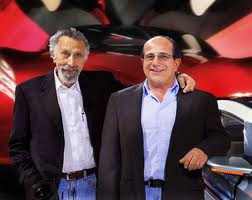 For me, the unexpected thrill about this (besides how easy it was to park in downtown Boston) was that the interview was conducted mid-day this past Wednesday, and it so happens that's exactly the time that National Public Radio's weekly 'Car Talk' program is taped in the same studios. So, when heading down to the parking garage to get some more of my gear, who should I run into in the elevator but Tom Magliozzi, one of the two Click and Clack brothers! Tom (he's on the left) was heading to the same garage where I was parked, so we had a nice chat. (He's kind of looking like the Commander in the old "Schweppes" ads lately.) At the time, I didn't have have the presence of mind to link cars and silent film, but then he didn't want to talk shop and was probably more interested in getting away from this lunatic anyway and going on his way. Then, going up, the doors opened to find his younger brother Ray standing there waiting to go down, and so I got to speak to him as well. When I mentioned I'm a silent film accompanist, his response was "Hey, silent films are coming back!" Nice! I'll take all the encouragement I can get. Even if I didn't recognize the brothers by sight, all doubt would have been removed when either one of them opened their mouths. In fact, it was hearing Tom's unmistakable cackle down the hall that made me first realize he was, well, down the hall. I already knew what they looked like, so it wasn't a case of "Hey, you look different than I imagined you on the radio." But the one thing that struck me was how small they both appeared in person compared to what I would have expected. Really -- they were both shorter than me, and I'm 5-foot-8, and that made them seem tiny. So I guess radio magnifies size. Either that, or enjoying their program over the years had me expecting larger-than-life characters. Maybe there is a silent film connection, in that this is related to what Gloria Swanson's character said in 'Sunset Boulevard' when told she used to be big. "I am big," she replied. "It's the pictures that got small." Tomorrow (Wednesday, Aug. 3) I head down to Boston for an interview at WBUR-FM, one of Beantown's National Public Radio outlets, for an interview about the upcoming screening of Buster Keaton's film 'Steamboat Bill, Jr.' (1928) on Sunday, Aug. 7 at 7 p.m. at the Somerville Theatre in Davis Square, Somerville, Mass. I'm looking forward to this, not only because it's fun to be on the radio and chat about silent film, but also because an interview will help get out the word for this particular screening. It's worth attending because it's in 35mm, but also because a big turnout (say, 100 people or more) will encourage the Somerville's management to continue programming silent films in 35mm with live music. I must say I've been thrilled with the shows I've done at the Somerville so far this year and I do hope we can continue. The music has worked out well, I think, but what's been truly amazing to me is the chance to see the Keaton films in 35mm on the big screen and with a bright light. To me, it's like seeing these films for the first time. For this weekend's program, we not only have 'Steamboat Bill, Jr.' but also 'The High Sign' (1921) and 'Cops' (1922), both of which I'm looking forward to. So I do hope you can join us (and bring a friend or two or three or a dozen) to help fill some seats. For music, I'm planning on pipe organ for the two shorts, then full orchestra for Steamboat. One thing to keep in mind with the feature is that I need to avoid ramping up too early and taking things too fast in the climax. We'll see if I can restrain myself or if I get carried away, much like Buster nearly does. And if you haven't seen the film, you'll just have to attend this Sunday's screening to find out what I mean by this. Admission is $12 per person. See you at the movies! And P.S. : On Saturday, Aug. 6, I'm accompanying a program of Laurel & Hardy silent comedy shorts ('Double Whoopee' (1929), 'Early to Bed' (1928), and 'Angora Love' (1929) and Raymond Griffith's wonderful feature 'Paths to Paradise' (1925) at the Brandon Town Hall and Community Center up in Brandon, Vt. Show starts at 7 p.m. if you happen to be in the neighborhood!